Steve Case’s career began when he cofounded America Online (AOL) in 1985. At the time, only three percent of Americans were online. It took a decade for AOL to achieve mainstream success, and there were many near-death experiences and back-to-the-wall pivots. AOL became the top performing company of the 1990s, and at its peak more than half of all consumer Internet traffic in the United States ran through the service. After Case engineered AOL’s merger with Time Warner and he became Chairman of the combined business, Case oversaw the biggest media and communications empire in the world. 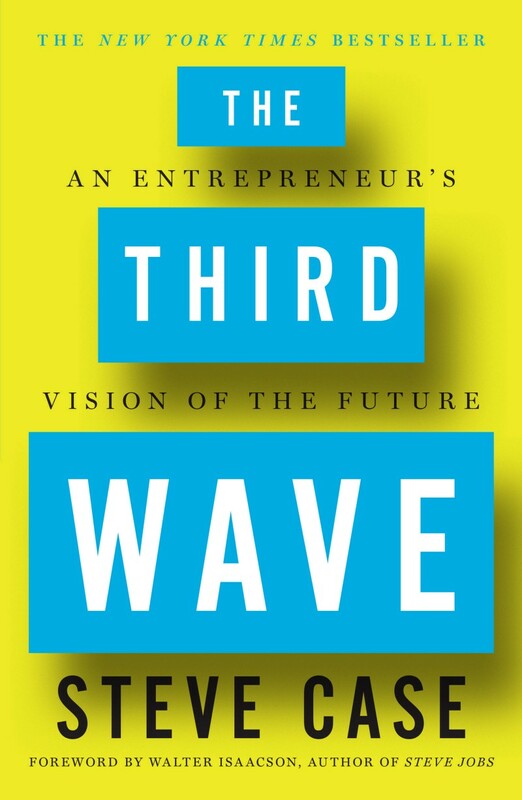 In The Third Wave, which pays homage to the work of the futurist Alvin Toffler (from whom Case has borrowed the title, and whose work inspired him as a young man), Case takes us behind the scenes of some of the most consequential and riveting business decisions of our time while offering illuminating insights from decades of working as an entrepreneur, an investor, a philanthropist, and an advocate for sensible bipartisan policies.